This awesome module adds Responsive Product Carousel in Tabs on Homepage. 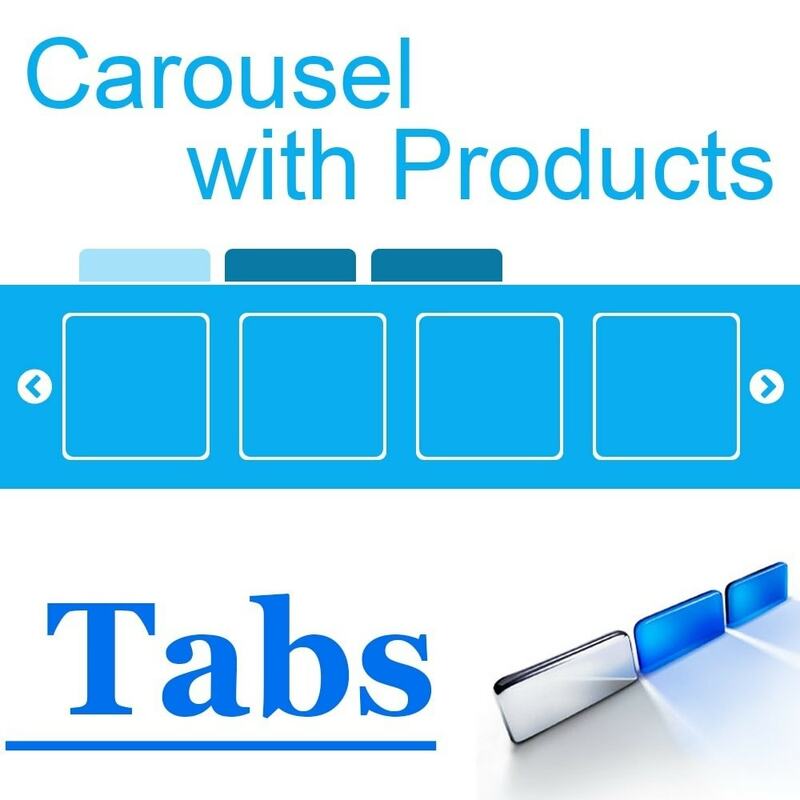 With help of this module you can add beautiful responsive Product Carousel in Tabs Homepage. Our premium quality carousel easy to use, fully configurable and adaptable to any mobile device. 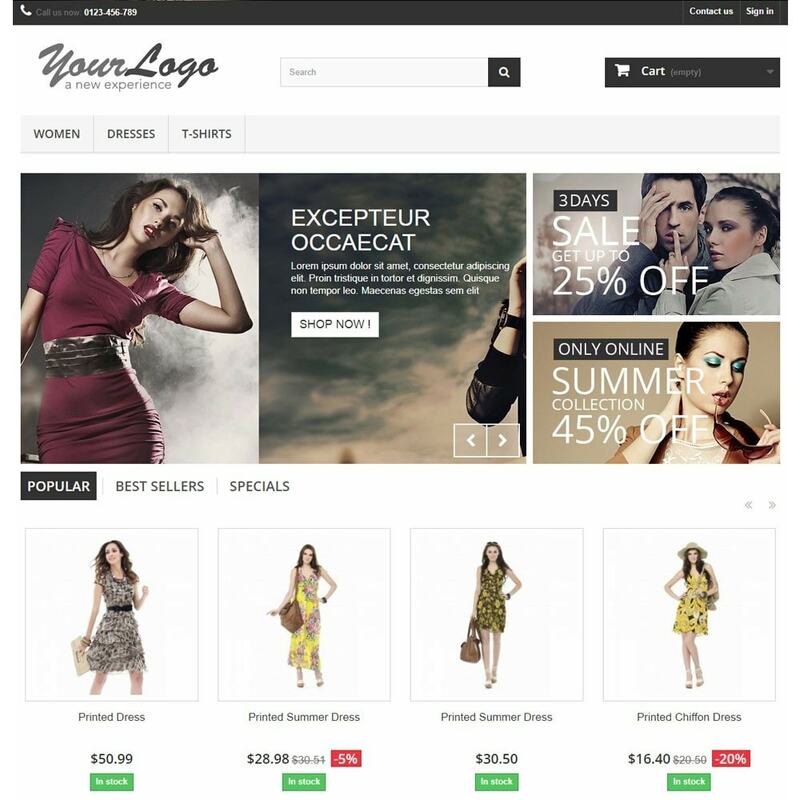 This is premium product carousel in tabs for your store. Settings for number of elements to display, number of elements to scroll, carousel speed. Settings for animation carousel – slide, pagination, rewind and stop hover, auto play. Responsive Product Carousel in Tabs on Homepage will help you to change your store, make it more professional and engaging. Also, with this module you give users a better customer experience. It will increase your sales. Super easy to install. Settings for animation carousel – auto scroll, random. The amount of time (in ms) between each auto transition. Selecting to display or not, prev/next buttons, play/stop buttons. And many others customizable options for your store. Number of elements to display and number of elements to scroll. Select for items width, margin, carousel speed. 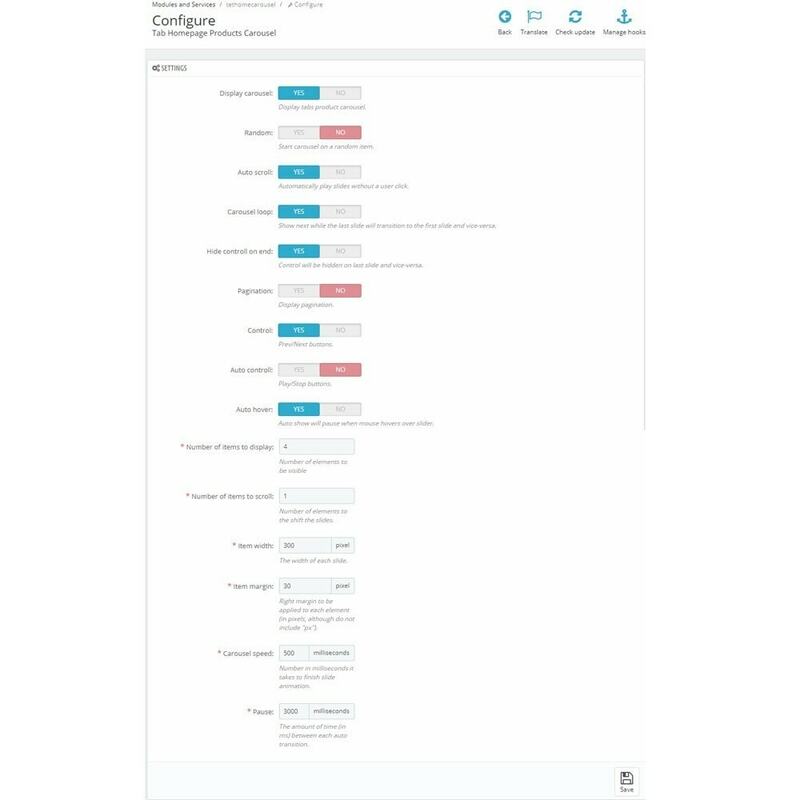 Select time (in ms) between each auto transition and auto scroll in carousel. Showing next while the last slide will transition to the first slide and vice-versa. Auto hover, prev/next buttons, play/stop buttons.